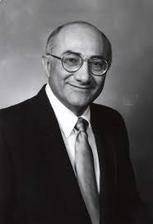 Michael Stumo is the Chief Executive Officer of the Coalition for a Prosperous America (CPA). 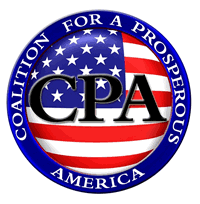 CPA is a coalition of agriculture, manufacturing and organized labor associations, companies and individuals working for free, fair and smart trade that benefits American producers. CPA represents the interests of over 2.6 million people through its association and company members. Stumo was raised on an Iowa farm which grew corn, soybeans, dairy and swine. He has a B.S. from Iowa State University in Agriculture and a law degree from the University of Iowa. Stumo is a member of the bars of Massachusetts, Nebraska and Connecticut. 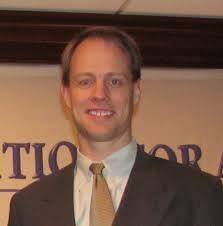 He is an author of law review articles, editor of a policy book entitled “A Food and Agricultural Policy for the 21st Century”, (2001) and writes a blog on trade policy, www.tradereform.org. Stumo has testified before Congress several times, and gives presentations to many different groups and organizations across the country on international trade and agricultural topics. Dave Frengel joined precision manufacturer Penn United Technologies in 1990 where he served first as Human Resource Manager and then as Director of Training until 2002 when he was appointed Director of Government Affairs. He was assigned to link Penn United with other businesses and organizations seeking to improve U.S. trade policy and save manufacturing in the U.S.
Dave represents Penn United as a founding board member of the Coalition for a Prosperous America (CPA), a bi-partisan national network of domestic manufacturers, farmers, labor, and business and community organizations dedicated to improving America’s global economics policies and unleash the competitive advantages of domestic producers in the global economy. He chairs the PA Chapter of CPA. Mr. Frengel also represents Penn United on government relations policy committees of the National Association of Manufacturers (NAM), the National Tooling and Machining Association, the Precision Metalforming Association, the SMC Business Council, the Butler County Chamber of Commerce, and more. With he also engages the religious community in the public dialogue about U.S. international economic policy. Dave Frengel was born and raised in New Castle, PA and has been married to Barbara for 45 years. They are blessed with three children and six grandchildren. Previously, he was an Avionics Technician in the U.S. Navy and an officer/manager for the Butler County (PA) Court of Common Pleas. He serves as a Ruling Elder in Westminster Presbyterian Church in America, Butler, PA.